The next parade will be held on the 2nd April 2018. This year we shall be commemorating the anniversary of the end of WWI in 2018 and hope some of you may have suitable vehicles to bring along. The parade is a historical parade where spectators get a chance to step back in time to see a world before motorised vehicles. 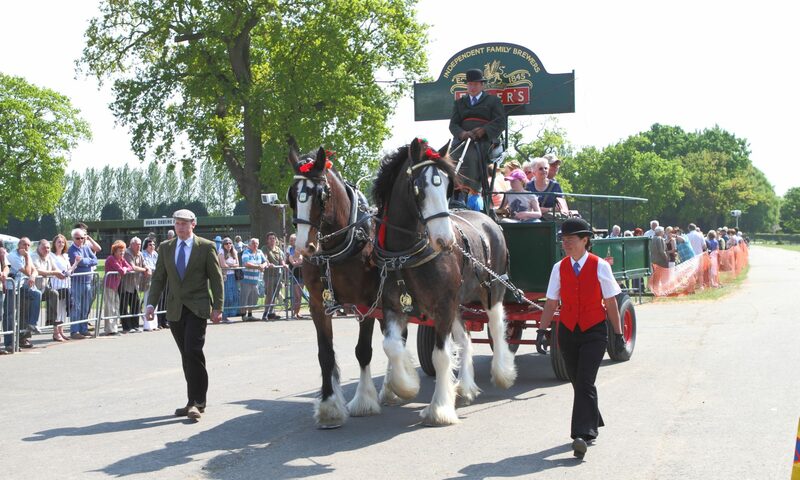 In recent years we have expanded the Parade to give visitors a chance to see how the world of transportation has developed through the ages from horse drawn vehicles to motorised vehicles. The parade starts at 9.00 am. Car exhibitors are asked to form part of a static display whilst the judging of the horse drawn vehicles is taking place. Before the final horse drawn vehicle parade the cars and historic vehicles that are present will take part in their own parade to give spectators the chance to see the vehicles on the move. The final parade takes place at approx. 1.00 pm with the day finishing at about 2.30 pm. We look forward to welcoming you. If you would like to display your Classic Vehicle please download the form below.